was incorporated in the state of Delaware on May 20, 2015 to be a merger subsidiary for potential acquisition candidates of blockchain technology software. The company completed its first acquisition of blockchain equity in Blockchain Technologies Corp. on September 30, 2015, a company that holds US approved blockchain election patent; US Patent #9,608,829, issued March 28, 2017; System and Method for Creating a Multi-Branched Blockchain with Configurable Protocol Rules which claims priority over; Provisional application No. 62/090,370 entitled “Use of Blockchain Database to Enhance Security of Support Secure Electronic Voting and Election Result Tabulation” filed Aug. 6, 2014. Use of the blockchain will provide considerable value to GES by increasing the quality, accuracy, and credibility of the voting process. Just the sheer nature of how the blockchain functions provides an immediate benefit to GES’s customers. The blockchain is applicable to GES’s business strategy because in its most basic form, the blockchain is a digital ledger. The technology draws its power from the peers – or nodes – on its network to verify, process, and record all transactions across the system. This ledger is never stored, but rather exists on the “chain” supported by millions of nodes simultaneously. 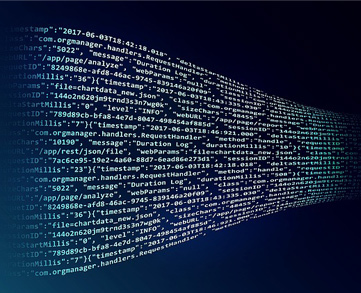 Due to sophisticated hash encryption methods and decentralization, blockchain’s database of transactions is incorruptible, and each record is easily verifiable. The network cannot be taken down or influenced by a single party because it doesn’t exist in one place. A blockchain-based voting application does not concern itself with the security of its internet connection, because any hacker with access to the terminal will not be able to affect other nodes. Voters can effectively submit their vote without revealing their identity or political preferences to the public. Officials can count votes with absolute certainty, knowing that each ID can be attributed to one vote, no fakes can be created, and that tampering is impossible. Advanced scalable enterprise technology and blockchain decentralized features ccoupled with the outstanding long history of service of GES’ management team will position GES to be a leader in this industry.